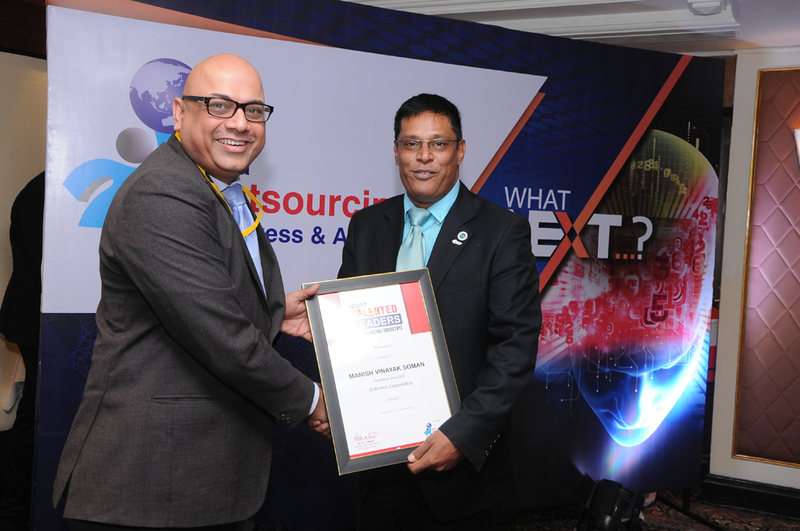 Soman has been recognized for his exceptional track record and exemplary achievements and notable contributions to the life science outsourcing industry during the Asia Outsourcing Leadership Summit on February 19, 2016 at Taj Lands End, Mumbai. According to the Asia Outsourcing Leadership Summit, Business Process Outsourcing (BPO) is entering a new age as companies strive for improved outcomes, lower costs and higher standards in a critically competitive economic environment. As a result, outsourcing has become an essential and strategic component of many leading life science organization’s growth path as they seek to focus on their core competencies of developing safe and effective medical products. Significant global, regulatory, technology and other trends have impacted the way companies do business and the level of understanding and knowledge professionals require in order to be successful. The outsourcing industry demands exemplary outsourcing leaders, with strong skill sets in areas such as business case development and deal structuring. Manish Soman was selected for his track record of building successful outsourcing companies, including his recent role as President and CEO at Sciformix Corporation, a best in class life science scientific services organization. His leadership has helped the company to create long-term partnerships with companies who develop innovative medical products and improve the quality of healthcare globally. The Asia Outsourcing Awards recognize leaders who demonstrate best practices and behaviors in the outsourcing industry that help their clients create and sustain a competitive advantage, realize business transformation, achieve sustained value for the both the buyer and service provider. These awards form an industry benchmark in terms of best practices and business excellence. The recipients are decided by a jury of industry professionals from across the globe that meticulously monitor and research individuals who consistently do extraordinary work and track the record of their achievements over a period of time. The “Most Talented Leaders in the Outsourcing Industry” recognizes these eminent professionals for their superlative achievements in the field of outsourcing. Sciformix, headquartered in the USA, with operations in India and the Philippines, partners with life science clients through the entire drug development cycle, to provide a full range of services from study design to post-marketing surveillance and commercialization support. Areas of specialization include Safety and Risk Management, Clinical Research & Post Approval Support Services, Medical Affairs, Scientific Writing and Regulatory Affairs.